The Dormeo Memory Indulgence Mattress is exclusive to Ideal World. It is the deepest and most luxurious mattress in Dormeo's 'Memory' range, with 4cm of memory foam. If you are looking to go to sleep quicker and stay asleep longer, this mattress is for you, helping to support your body's sleeping position every night. 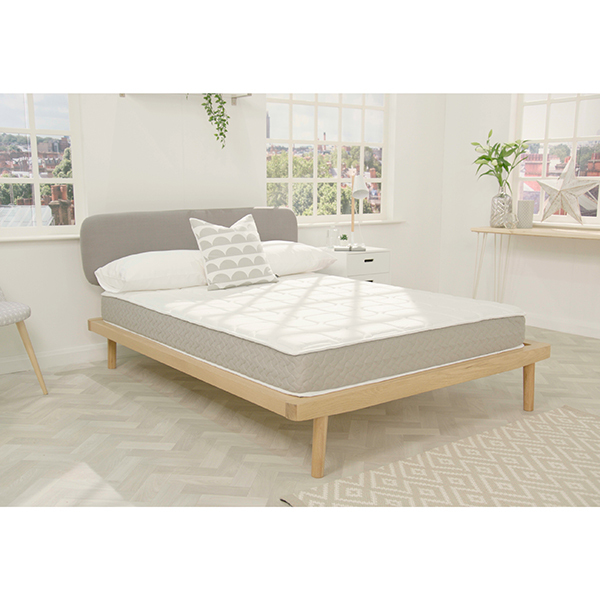 The Hybrid combines the excellent support and comfort of pressure relieving memory foam for a superior level of luxury and relaxation. Dormeo mattresses are vacuum packed, which enables easier transport and ensures maximum hygiene. DO NOT USE SHARP OBJECTS to open the packaging; otherwise you might damage the fabric. Packaging must be opened within 30 days of acceptance of the mattress. Dormeo mattresses reforms to shape within 15 minutes of opening, however you should wait 24 hours before use. Do not bend or fold the mattress after unpacking it. The product is intended for use in closed places with a normal climate. We recommend weekly ventilation of the room and exposure of the mattress to fresh air. During ventilation, bed linen should be removed from the product. This will prevent humidity from building up in the mattress and consequently also prevent build-up of mould. During the first 6 months of use you should regularly change (turn) the position of the mattress: the head and foot section. We also recommend putting the mattress in a vertical position as this enables the structure and filling to be optimally stabilized. Avoid using the mattress on metal nets, bases with wide laths and flat plates. These surfaces are unsuitable, as they do not release humidity, which may consequently lead to the development of mould. Use the mattress on wooden laths of the same dimension as the mattress to enable good air circulation and the correct support. We recommend the use of Dormeo-flex laths. The product is not intended for use in humid places. Avoid liquid and humidity on the mattress. We do not recommend wet cleaning and ironing. In order to perfectly protect the mattress, we recommend you protect it with washable mattress covers. We recommend the use of Dormeo mattress covers. Do not use with an electric blanket. The mattress cover cannot be washed - dry clean only. The mattress mustn't get wet - take care not to spill water or any other liquids on it. If it does get stained, clean only with soapy water and a damp cloth then dry the mattress well. Keep the mattress in a dry place: if your bedroom is humid, you must regularly ventilate your mattress. You can also do this by lifting the mattress. The mattress should also be ventilated if you rarely use it. The mattress can also be protected from dirt and bacteria by using the Dormeo specially treated mattress covers. Wet cleaning and ironing is not recommended. Allow at least 24 hours for the mattress to take shape in a warm room. Once opened there may be a "new foam" smell which should dissipate within a few days. If you're not happy with your mattress please contact our customer service number (08717 123456 8.00am 8.00pm daily) within the 60 day period and a member of our team will arrange for the mattress to be collected from you free of charge. Please note that you may be asked why you did not find the mattress satisfactory. Unfortunately we cannot accept a return where the mattress has been accidently or otherwise damaged. By way of example this includes damage to the cover or core of the mattress or if the mattress has become soiled, wet or stained. Remove all the packaging & give the mattress 24 hours to recover to size & air in a warm ventilated room. Any 'new foam' odour will dissipate within a few days. We recommend you use a mattress protector with your mattress, it'll keep your mattress in good condition by protecting it from stains and, in turn, extend its life. Our mattresses are 'no turn' but can be rotated if required. 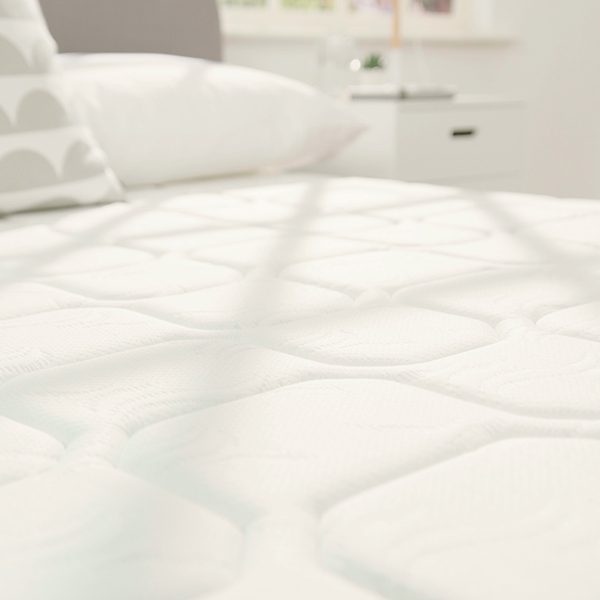 Memory foam is temperature sensitive & any excesses of temperature will affect the comfort of the mattress. Please don't allow your mattress to get too cold or too hot as the memory foam will harden. Don't position your mattress against a radiator. 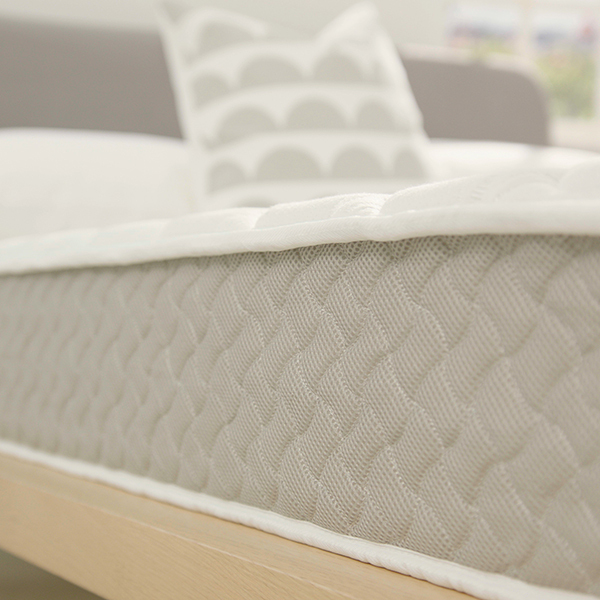 Mattresses are designed to be slept on. Don't allow your bed to become a trampoline. Jumping on the bed will cause damage to the mattress structure & core.